Here in North Carolina the sweetest picnic season is just arriving… Fall! I woke up this morning with visions of picnic tables dancing in my head and I just knew there would be some crazy, practically ludicrous picnic table plans out there. I only found a few worthy of an award, but WOW, we’ve got some beauties there in the awards section :) In all I found 32 free picnic table plans out there on the web – plus some helpful videos and even a picnic table faceplant (in the fun with picnic tables section). sidekick driving on a picnic table: can your table withstand this punishment? faceplant off of picnic table: can your face withstand this punishment? I can’t understand French, but laughter at the pain of others is a universal language. 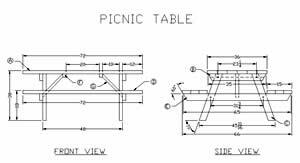 In addition to spending an hour poking around with Google (site searches on woodworking forums + variations on “picnic table plans”) I relied heavily on the following picnic table plan sources. There are many dupes on each list, but enough uniques that they were worth sorting through for this list. They are in order of my opinion of their awesomeness. 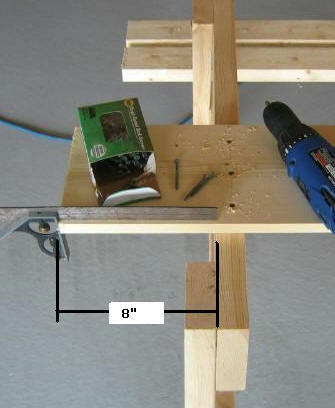 « 25 Fixes for Common Woodworking Mistakes + the Biggest Mistakes YOU'VE Made? That’s funny! I guess you can find crazy vids at youtube for everything that comes to mind. What kind of wood do you think was used for that table in that car video? I am looking for free plans for an octagon picnic table with the benches free standing. I have a large excess of 4″ by 4″ by 4″ and 4″ by 8″ lumber which I want to use to bulid heavy duty picnic tables. Any one have plans? I am looking for plans to build a picnic bench in a U shape with permanent benches that will seat 25 kids. Do you have any ideas? Hey guys..If you click on my link and go through my website. It will take you to a great library of woodworking plans that has picnic table plans that you are looking for. Just ignore that my site is about cradle plans but the library is where I get my plans for everything I build. For Tim Brown; Why on earth would you want a table around a tree? It kind of sounds nice, but who wants a bunch of birds dropping their doodies in your food? Reconsider Tim! You could construct one with roof over it braced off of the trunk or with posts going down the side of the trunk with outter posts at the outter edges. Use Your imagination Tim! Necessity is the mother of invention!